The shooter made anti-Jewish comments after he was apprehended, a law enforcement official told CNN. The bloodshed took place on the same day as Saturday Shabbat services. At the time of the shooting, three different congregations were holding services at the Tree of Life. At a Saturday afternoon news conference, officials said the suspect was in the Squirrel Hill synagogue for about 20 minutes. 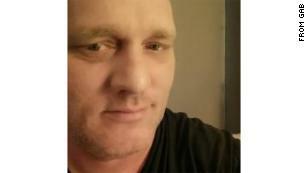 After the attack and as he was leaving the building, Bowers encountered a law enforcement officer and the two exchanged gunfire, officials said. The suspect went back inside to hide from SWAT officers. Bowers was in fair condition Saturday evening with multiple gunshot wounds, officials said. It’s believed he was shot by police. “At this point we have no knowledge that Bowers was known to law enforcement before today,” said Bob Jones, FBI Pittsburgh special agent in charge. Jones said that while Bowers’ alleged motive is unknown, officials believed he acted alone. Bowers has an active license and has made at least six known firearm purchases since 1996, a law enforcement official familiar with the investigation said. 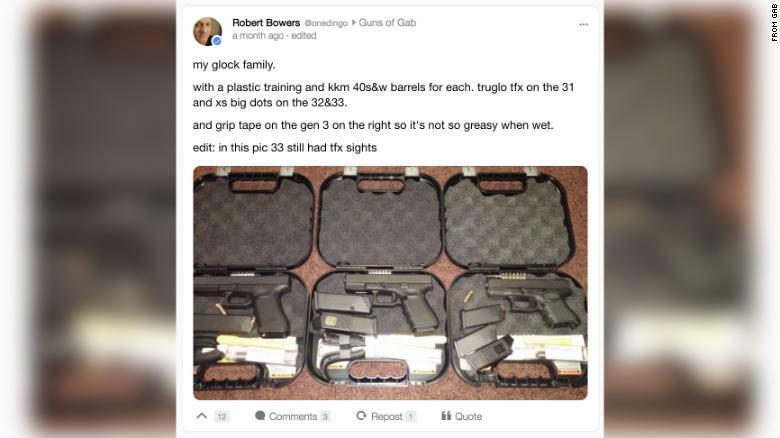 On September 29, Bowers posted photos of his handgun collection on his Gab.com account, which included multiple clips and sights. A rifle and three handguns were found on the scene of the attack, the FBI said. A law enforcement source confirmed to CNN that investigators believe the social media postings belong to Bowers and that the language on his account matches the suspected motivation behind the shootings. He has reposted a number of posts on his social media accounts that tell Jews to get out or leave. Gab is a social media platform that advocates for free speech and puts nearly no restrictions on content. A CNN review of criminal records found a 2015 traffic citation against Bowers for allegedly driving without tags.